What is Blaze Pizza, you ask? 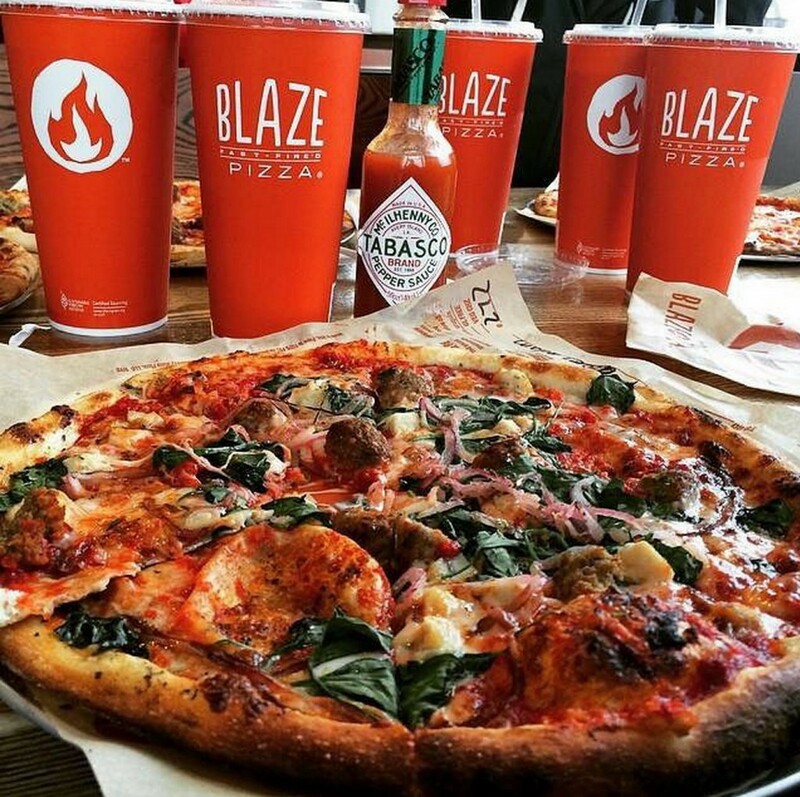 Blaze Pizza is a modern day “pizza joint” known for its custom-built artisanal pizzas, freshly made salads, blood orange lemonade and s’more pies. Each restaurant features an interactive assembly-line format that allows guests to customize one of the menu’s signature pizzas or create their own, choosing from a wide selection of fresh, artisanal ingredients – all for one price. The generously-sized 11-inch pizzas are then sent to a blazing hot open-flame oven – the centerpiece of the restaurant – where dedicated pizzasmiths ensure that the thin-crust pies are fast-fire’d and ready to eat in just 180 seconds. Each restaurant makes its own dough from scratch using a recipe developed by critically-acclaimed Executive Chef Bradford Kent (“The Pizza Whisperer”), which requires a 24-hour fermentation period to produce his signature light-as-air, crisp crust. 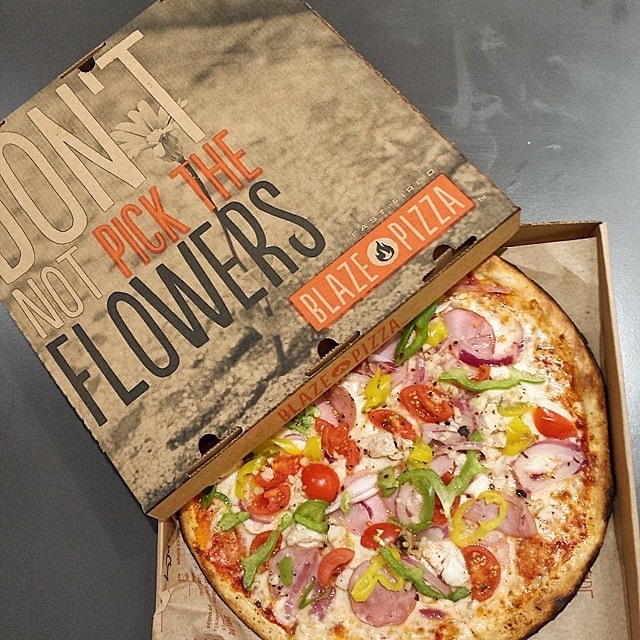 For pizza fans with specific dietary needs, Blaze Pizza offers gluten free dough and vegan cheese. The new San Francisco restaurant will also feature a selection of wine and craft beer. Sounds like they have it all together! Yum!